No sessions are scheduled to be presented at the 14th EADI General Conference. The strengthening of citizenship in Latin America. 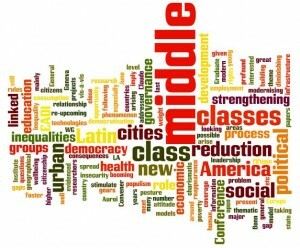 The role of urban middle classes in the process of democratisation and the reduction of inequalities. The EADI WG “Europe and Latin America” shall meet in Bonn during the General Conference, June 2014. The opportunity will be given to young researchers to present papers and research projects of theirs, following the general rules of EADI. The thematic will be as close as possible to the Conference theme. The problem that is here addressed gears around the re-upcoming of middle classes in the last fifteen years in Latin America. This phenomenon is evidenced in all major cities and has profound economic, social and political consequences. A number of questions arise when looking at middle classes, which has to do mainly with their posture and attitude vis-à-vis the development model and political governance of the country. Does the reappearance of a middle class in LA foster the arising and strengthening of democracy and the reduction of inequality? The middle class is taking more weight in infrastructure development, higher education, new consumption models, health coverage, information technologies, etc, especially at the urban level. What does it imply? Is there a spread of this new modernising process to other groups, is diminishing poverty linked to middle class wellbeing as well? Are inequalities and insecurity linked to new social groups? What is the relationship between middle class booming and political governance, populism and charismatic leadership in many countries ? 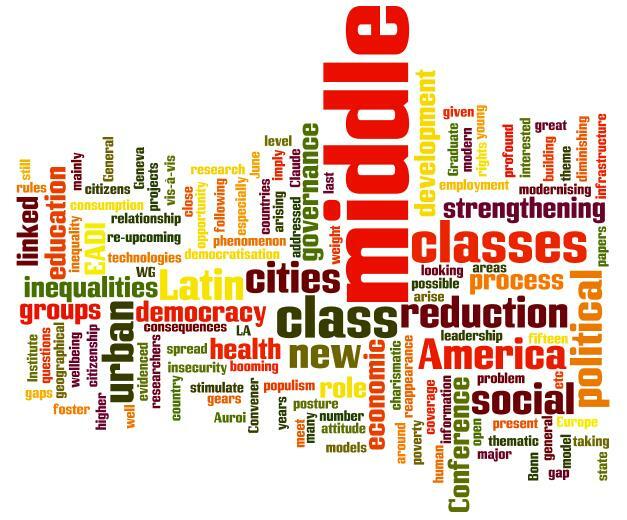 Do the middle classes stimulate democracy and human rights? Are they interested by the building of a modern state open to all citizens? The gap between cities and urban areas is still great (education, employment, health). What is the role of cities in the reduction of geographical social and economic gaps?